1 What really is maxillomandibular advancement surgery? 2 How is maxillomandibular advancement procedure performed? 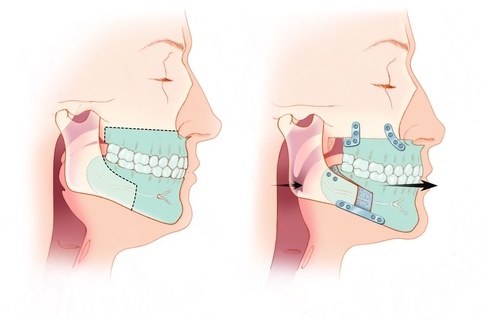 Guide to maxillomandibular advancement and orthognathic surgery for sleep apnea. Do you have trouble breathing, especially at night? This could be due to a condition called obstructive sleep apnea. Sleep apnea is a sleep disorder that can be potentially fatal. A person with this condition repeatedly stops breathing at night. The condition may also cause you to snore loudly at night. This might be quite distracting for those sleeping around you. If you experience obstructive sleep apnea, you will discover that when you wake up in the morning you feel more tired than even when you went to sleep. If that is you, then you need not worry anymore because there is a procedure known as the maxillomandibular advancement or the sleep apnea jaw surgery can effectively correct this disorder. What really is maxillomandibular advancement surgery? You must be wondering what this long medical term means, in simple terms, maxillomandibular advancement, which is also referred to as double jaw advancement, is corrective surgery that helps to treat obstructive sleep apnea. It involves the enlargement of your airways in both the tongue and the palate area. Maxillomandibular advancement is a jaw surgery for sleep apnea. When you undergo maxillofacial jaw surgery for sleep apnea, your upper jaw, also called the maxilla, and your lower jaw, the mandible, are both moved forward in order to give more way for the free passage of air. According to research, maxillomandibular advancement is one of the most effective treatments for sleep apnea. Sleep apnea can be really fatal and may even cause death in some instances. The treatment is mostly recommended for patients who have not recovered from other forms of sleep apnea treatment like the CPAP. The recovery process is quite prolonged but it is very effective in helping to treat sleep apnea. 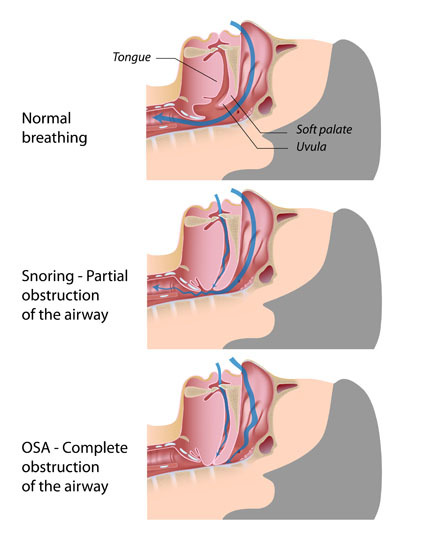 The upper and lower jaw advancement play a key role in treating obstructive sleep apnea. How is maxillomandibular advancement procedure performed? Once your doctor recommends this jaw surgery for sleep apnea, you will be taken to the operating room under general anaesthesia so as to numb your pain. The surgeon will make incisions inside your mouth and small incisions on your cheeks. Your upper and lower jaws are then freed using thin surgical saws and chisels and they are brought forward or advanced together. The surgeon will then use titanium plates and screws to hold the jaws in place. The mma surgery will involve the placement of braces, also called arch bars, on the teeth, which will have to remain in place for at least 6 weeks. The jaws are not wired together, but rubber bands might be used to help you maintain a stable bite as you heal. After you undergo the maxillomandibular advancement, you are required to go slow on hard meals and heavy carbohydrates. You will have to switch your diet to softer meals like mashed potatoes, soup and any other foods that will not require you to chew for at least 4-6 weeks. Depending on your doctor, you may also be taken through temporary tracheostomy to help you avoid any complications that may occur with swelling after the surgery. After you have undergone this procedure, there are certain instructions that you will have to follow to the latter for you to heal quickly. Your doctor will prescribe some effective painkillers to help control the pain after the anesthesia wears off. Make sure that the pain is not intolerable before you begin taking the prescribed medication. Your doctor should know which kind of painkillers to give you to help keep the pain under control. As already mentioned, you will have to change your diet for a few weeks until your upper and lower jaws are completely healed. It is expected that after the maxillomandibular advancement procedure, you are likely to experience some trouble chewing and swallowing food. You will need to be extra careful with what you eat or drink and reduce the risk of developing complications. For the first few weeks, you can go on a liquid diet. Milkshakes are a great option to give your body protein and energy as you recover. After 2-3 weeks you can then transition to softer foods like eggs or yogurt. 3. Use ice in the mouth. One of the safest ways to reduce pain after the surgery is to use ice to numb the jaw area. Hold ice in the mouth as it melts and cools the surgical area to reduce pain. You can do this for the first 2-3 days after the maxillomandibular advancement surgery. Just like any other surgery, there is risk of getting infections. Your doctor will give you antibiotics to help prevent any infection and also to reduce the swelling of your jaws. If you experience any complications, you need to inform your doctor immediately. Salt water sprays in each nostril at least 3 times a day for the next 3 weeks is recommended. This will help to wash away all debris and dried blood while keeping your nose clean as you continue to heal. This also keeps the nose moist and will help you to recover quickly. 6. Avoid strenuous physical activity. You will have to keep off any strenuous physical activity for at least 6 weeks. The most you can do is to walk at least 3 times a day. This will help you to spend time out of bed and reduce the chances of you contracting pneumonia or even blood clots in the legs. 7. Elevate your head during sleep. In order to reduce blood flow to your head and neck regions, you will have to sleep with your head elevated at least to an angle of 45 degrees for the next 7 days. This will help reduce the swelling and the feel of heaviness in your head. In conclusion, maxillomandibular advancement and orthognathic surgery for sleep apnea has been recommended as the most effective procedure to treat sleep apnea. You will have to consult extensively and know how you can be able to go through a successful surgery. The risks involved are manageable if you do all that is required of you as a patient, you will definitely have nothing to worry about. My wife’s experience with surgical mandibular advancement in 1985 could hardly have been worse. The right side trigeminal nerve was severed and then formed a neuroma that survives to this day, after five attempts to excise it. She can’t sleep or chew on her right side, and brushing her teeth is an exercise in torture. She was left with greatly reduced strength and coordination in the muscles involved in chewing and swallowing. Choking is a normal part of every swallow. Her diet is limited to a handful of foods. This surgical disaster has left her crippled for 33 years. Beware. This is not a procedure to be considered lightly.